Michoacán, formally Michoacán de Ocampo ([mitʃoaˈkan de oˈkampo]), officially the Free and Sovereign State of Michoacán de Ocampo (Spanish: Estado Libre y Soberano de Michoacán de Ocampo), is one of the 31 states which, with the Federal District, comprise the 32 Federal Entities of Mexico. The State is divided into 113 municipalities and its capital city is Morelia (formerly called Valladolid). The city was named after José María Morelos, one of the main heroes of the Mexican War of Independence. The name Michoacán is from Nahuatl: Michhuahcān [mit͡ʃˈwaʔkaːn] from michhuah [ˈmit͡ʃwaʔ] ("possessor of fish") and -cān [kaːn] (place of) and means "place of the fishermen" referring to those who fish on Lake Pátzcuaro. In pre-Hispanic times, the area was the home of the Purépecha Empire, which rivaled the Aztec Empire at the time of Spanish encounter. After the Spanish conquest, the empire became a separate province which became smaller over the colonial period. The state and several of its residents played a major role in the Mexican War of Independence. Today, the state is still home to a sizable population of Purépecha people as well as minor ones of Otomi and Nahua. The economy is based on agriculture, fishing, mining and some industry. 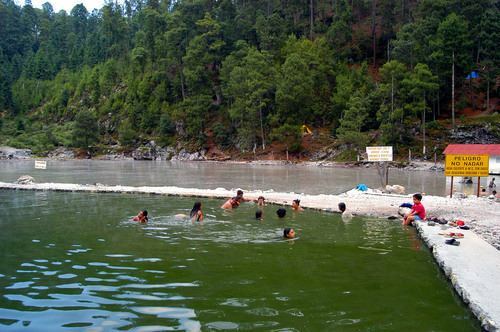 The major tourism draw for the state is the Lake Pátzcuaro–Tzintzuntzan–Quiroga area, which was the center of the Purépecha Empire, also the national or state parks which include the winter grounds of the monarch butterflies ("Mariposas Monarca") and the park where the Cupatitzio River has its main source. According to the archeological evidence, there has been human habitation within the territory of the Mexican state of Michoacán for at least 10,000 years. In the pre-Hispanic period, there were waves of migration into the area, including the Pirinda, Nahua, Huetamo, Colima, Purépecha and other peoples. There are sites of formal settlements from all Mesoamerican period. Important sites include El Opeño and those in Curutarán, Tepalcatepec, Apatzingán, Zinapécuaro and Coalcomán. The territory has been inhabited by the Nahua, Otomi, Matlatzinca, Pirinda and Teco peoples as well as the Purépecha. Soon after the Conquest, evangelists from the Franciscan, Augustinian, Carmelite and other orders established monasteries all over the territory. Some of the best-known are Juan de Moya, Martín de la Coruña and Jacobo Daciano. As first governor, Nuño de Guzmán disrupted and devastated the social and economic order of the area. Vasco de Quirga succeeded Guzman, bringing Franciscan and Augustinian friars to both evangelize and repair the area's broken economy and social institutions. Quiroga founded the Spanish city of Patzcuaro in 1538, calling it the Ciudad de Mechuacán. For his efforts, Quiroga is still referred to in the Patzcuaro area as "Tata (grandfather) Vasco." The diocese of Michoacán was established in 1536 by Pope Paul III, and its boundaries coincide with the old Purépecha kingdom. Its first bishop was Vasco de Quiroga. From the 16th to the 18th centuries, Augustinian, Franciscan and Carmelite missions were constructed in the territory as well as civil constructions, especially in the city now known as Morelia. Mining in areas such as Angangueo, Tlalpujahua and Inguaran was begun, as well as the establishment of agricultural and livestock haciendas. The first school of higher education, called the Primera Casa de Altos Estudios en América, was founded by Alonso de la Veracruz in Tiripetío. Michoacán was made a separate province from "Mexico" in 1602. By the mid-17th century, the indigenous population had declined by half. In 1776, the territory of Michoacán was reduced to the area in which the modern states of Michoacán and Colima are now. Soon after, Colima split to join with the province of Guadalajara, leaving Michoacán roughly with the territory it has today. During the French Intervention in Mexico, Morelia was taken by French forces in 1863. Since resistance to the French was particularly strong here, punitive acts were undertaken by the French in places like Zitácuaro, where much of the city was burned . One of the first victories that would get the French out of Mexico occurred in Zamora. The state is located in the center west of the Mexican Republic, on the extreme southwest of the central highlands. It borders the states of Mexico, Querétaro, Guerrero, Guanajuato, Jalisco and Colima, with a 217 kilometres (135 mi) coastline on the Pacific Ocean. The state has a territory of 58,836.95 square kilometres (22,717.07 sq mi), making it the sixteenth largest in Mexico (exactly at midpoint among Mexican states in Area). In addition, it also has 1,490 square kilometres (580 sq mi) of marine territory off its Pacific coast. Much of the climate of the state is determined by altitude and other geographical features. Average temperatures vary from 13 °C (55 °F) to 29 °C (84 °F). Lower temperatures correspond with the highland areas in the north and east which the lower south and west, called La Costa (the coast) or Tierra Caliente (hot land) register the higher temperatures. In the hotter lowlands, high temperatures regularly exceed 30 °C (86 °F) and have been known to reach over 40 °C (104 °F) in the summer. The lowest temperatures are registered in highland areas such as the Sierra de Coalcomán and the Sierra del Centro located near the border with the State of Mexico. Except for the Tierra Caliente, most of the state can experience freezing temperatures in the winter. Rainfall is also dependent on altitude with the lowlands receiving less rain than the mountain areas. There is a well-defined rainy season which extends from June to October over the entire state. Animal types vary from region to region but among mammals can be found skunks, raccoons, cacomistle, rabbits, armadillos, mountain lions, and foxes. Numerous bird species can be found including water fowl such as ducks, storks and seabirds along the coast. Reptiles, amphibians and fish can be found in the waterways and along the coast. The economy of the state is based on agriculture, livestock, forest products, fishing and crafts. Most of the population is employed in three sectors, agriculture (34%), mining and manufacturing (23%), and commerce(37%). The state contains more than 12,804 km of federal, state and local roads. Major highways in the state include Federal Highway 15 and the Morelia-Patzcuaro highway. Intercity and interstate buses provide connections to places within the state and the rest of Mexico. About 91% of these bus lines are second class while just under nine percent are first class. Most rail lines are limited to the north and center of the state, providing freight service to Mexico City and Guadalajara. The state's main port is the city of Lázaro Cárdenas which contains 2,926 meters of dock space. The dock is used mostly for the shipping of minerals and grains. There are two major airports, an international one in Morelia and a national one in Uruapan. Smaller facilities exist in Zamora and Lázaro Cárdenas. The state has abundant hydroelectrical production due to dams on the Balsas River, the Lerma River and the Tepalcatepec River. As of 1995, the state had eight television stations, with seven out of operation. There is a system of educational television with 528 broadcast antennas. The Universidad Michoacana de San Nicolás de Hidalgo is located in Morelia. It's historical predecessor was founded in 1540, making it is one of the oldest institutions of higher education in the Americas. 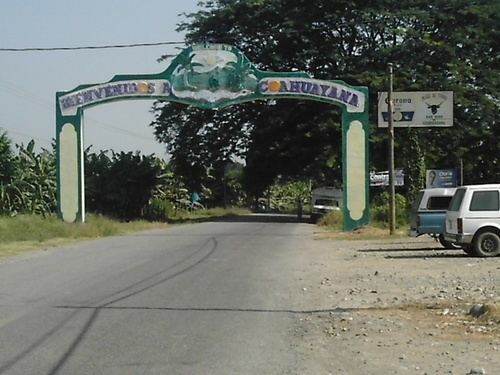 The Lázaro Cárdenas region is named after Michoacán's largest port and oceanside city. Here the state stresses the miles of beaches and other natural areas in which to practice ecotourism and extreme sports. Beaches include Maruata, Faro de Bucerías, the Pichi Estuary, La Laguna de Mezcala, La Ticla and Nexpa, with the last two considered suitable for surfing, with their regular two-three meter waves. A number of these beaches are protected areas, due to the fact that they are a breeding ground for sea turtles. One of the largest tourist events in the state is Noche de Muertos or Night of the Dead. This is celebrated on the dates around 2 November. Essentially, these are Day of the Dead celebrations, which are celebrated all over Mexico, but with unique variations. The events of these days show a blending of both pre-Hispanic and Catholic beliefs and traditions. Noche de Muertos is celebrated most strongly in the towns and villages around Lake Patzcuaro such as Tzintzuntzan, Ihuatzio, as well as Patzuaro itself, which was the center of the Purépecha Empire. As in other parts of Mexico, altars to the dead, both in homes and on graves are erected and covered with offerings such as bread, fruit and other items. One aspect which is unique to the event here is the lighting and floating of hundreds of small candles and flowers on Lake Patzcuaro on the night between 1 and 2 November. It is also believed that on this night the souls of Mintzita, the daughter of Purépecha king Tzintzicha and Itzihuapa, son of Taré rise. Theirs is a Romeo and Juliet story as they were never able to marry due to the Spanish invasion of their lands. Today, it is said that the two rise up and head toward a specific cemetery to receive visitors. There are a number of other rituals performed on these days such as the Terescuan y Campaneri… a kind of treasure hunt for hidden harvest items. The Zitacuaro region contains approximately a half million hectares of conifer forests, but is best known as being part of the wintering grounds of the monarch butterfly. The area is filled with old mining towns as well as an important archeological site. The region is home to the Mazahua and Otomi peoples, many of whom produce crafts such as blankets, rebozos and ceramics. 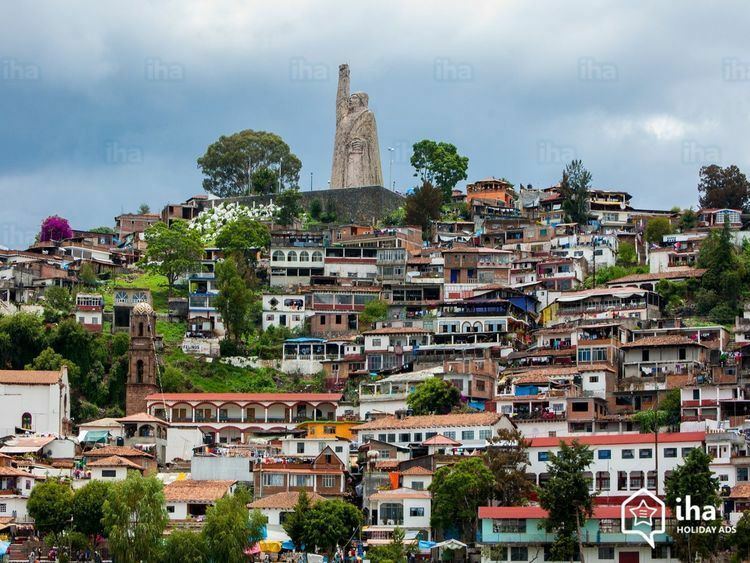 The city of Zitacuaro is the site of an important battle during the French Intervention in Mexico, which gives it the title of "Heroic City." 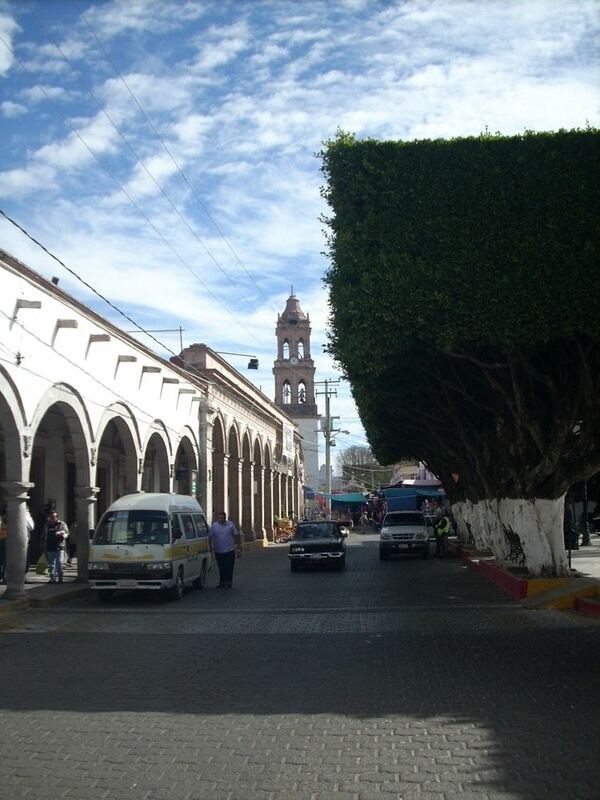 Other important communities include Añgangueo, San Matias and Ciudad Hidalgo. The most important places to see monarch butterflies in the winter are in municipalities of Angangeo and Ocampo. The butterfly sanctuaries are called El Rosario, Cerro Campanario, Sierra Chincua and El Llanno de las Papas." 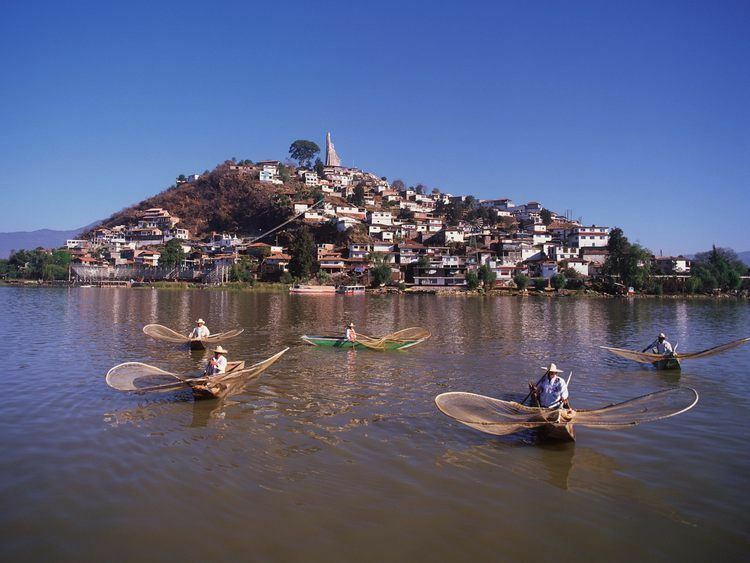 Michoacán is the seventh most populated state in Mexico and the average resident has a life expectancy of 73.3 years. It is estimated that each year about 40,000 people immigrate to the state while 78,000 leave, leading to population loss. Of those who leave, about one third go the other places in Mexico and the rest to other countries, principally the United States. The cities with the densest populations are Morelia, Uruapan and Zamora. Michoacán, as all states of Mexico, is divided into municipalities (municipios), creating 113 municipalities in Michoacán.